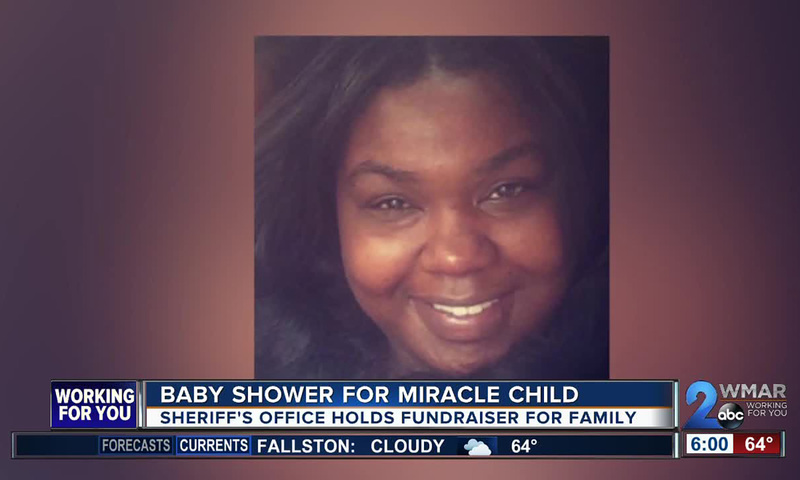 A veteran Baltimore sheriff’s deputy is now raising his four grandchildren after their mother was killed last month — and the sheriff’s office is hosting a “baby shower” fundraiser for him Tuesday. The event will raise money for Deputy James Dunton Jr., whose daughter Jasmine Kennedy was fatally shot by her fiance May 1 at her Parkville home, police say. She was seven months pregnant with her fourth child. Doctors managed to save Kennedy’s daughter, who remains at the University of Maryland Neonatal Intensive Care Unit. Police have charged her fiance, Eric Glass, 30, with murder. Dunton and his wife will be raising the children. “We all knew we had to do something for James,” said Samuel Cogen, a Baltimore assistant sheriff. “We see stuff every day,” but when a tragedy happens to someone within the office, it’s devastating, Cogen said. Baltimore County police said Glass shot Kennedy in the head, and then attempted to shoot himself, but survived. Kennedy’s 15-year-old son found his mother, and ran with his two younger siblings — an 11-year-old boy and a 6-year-old girl — to a neighbor’s house for help. The boys are Kennedy’s children from a previous relationship, while her daughter and the newborn are both Kennedy’s and Glass’ children, police said.